← Teacher Mama: Workbooks- Evil or Not? We do A LOT of take-out and most of that take-out seems to be either Chinese and Thai food. As you may know, when you get take-out from these places, you almost always get wooden chopsticks. Over the last year, we have collected what seems like a gazillion wooden chopsticks. I was bound and determined NOT to let them end up in the garbage dump. So, I searched the web and found this great idea on several different sites. 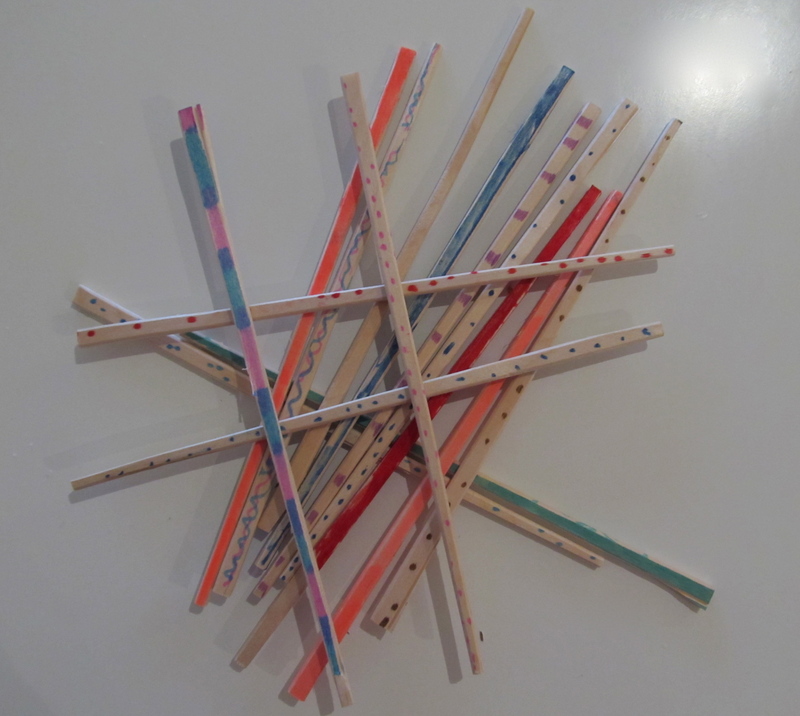 Use all those chopsticks you have laying around the kitchen to create this fun game. Color or paint them as you like. We just used colored markers. Hold the chopsticks in one hand with the bottoms of the sticks resting on the floor. The first player tries to remove one stick from the pile without moving any others. If he is sucessful, he continues until he moves a stick while trying to remove one from the pile. If he moves a stick while trying to remove one, his turn is over and the next player takes a turn. Play until all the sticks have been removed from the pile. The winner removed the most sticks from the original pile at the end of the game.